I had the most amazing weekend of pampering and relaxation. I rarely have time to think about myself, Like most Mommies, it is always about our beasties. 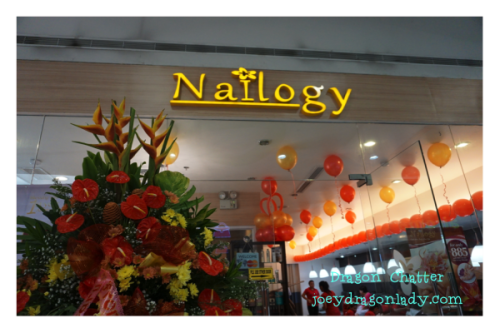 I was pretty stoked when I was given an opportunity to attend Nailogy’s 1st Anniversary. Nailogy is strategically located in one of the busiest parts of Pasig inside SM Hypermarket and next to Tiendesitas, close to business offices and residential area. 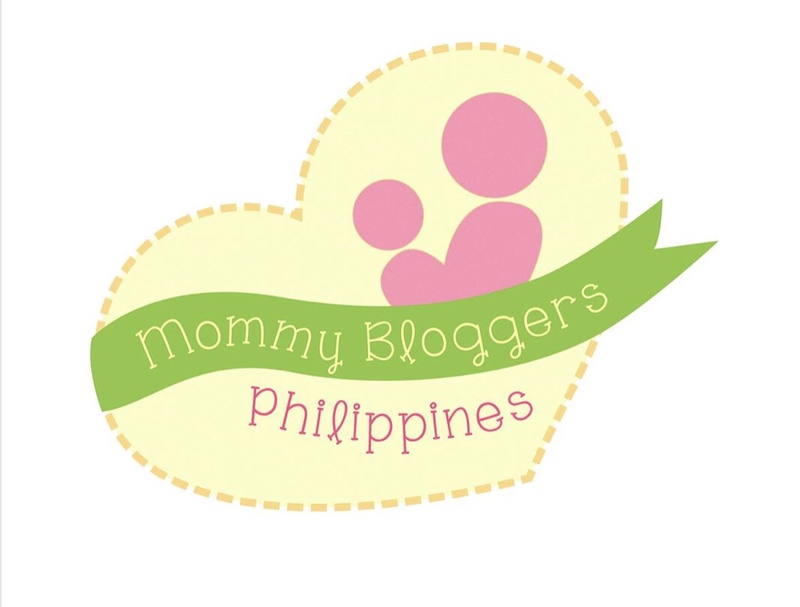 The venue is perfect for ladies who want to do their grocery shopping and treat themselves at the same time. This is what the owners of Nailogy envisioned their target clientele. But with the changing times, their customers also changed and evolved in a good way. Not only does this establishment attract the ladies but seniors, office workers and male clients as well. Don`t let the name of this shop deceive you. 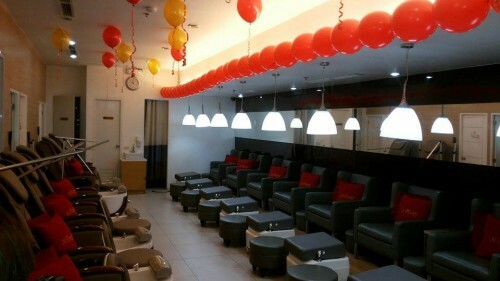 Although their main service is Nail Care like pedicures, manicures, foot and hand spa and awesome nail art they are a FULL SERVICE Salon with wax, relaxing massage, facials, body scrubs and most recently hair care treatment. According to Pinky Rojas, Nailogy`s HR Manager, their staff undergoes extensive training to make sure each client receives a customized service, this will not only built trust but also establish a long and lasting relationship. I noticed that they address their clients by name making them feel right at home. The clients may enter Nailogy as guest and leave the place so satisfied with the service, that they are sure to come back. 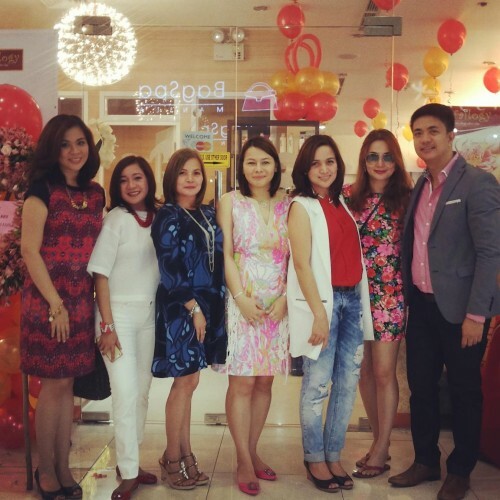 Nailogy celebrates its first year in the Beauty and Pampering Business with a day of great food and treats for their loyal clients and guests. Cozy, well lighted feel of the place with very comfy chairs and ottomans you can just park your tired feet and let the staff do their magic on you. I experienced first hand their top notch services. Check out the photos below. Like I said, I rarely have my nails done. When I am very picky about who takes care of my nails. This is probably due to a terrible experience of getting the skin of my nails cut and bleeding…the pain left me anxious and nervous. But I had nothing at all to fear. The Nailogy staff are well-trained. They handled my hands as well as my feet with gentle care and painless. If you plan on letting our daughter get her first nail care experience this is a great place to go to. I also availed of their under-arm waxing courtesy of Ate Shona, their senior waxing specialist. It was also a painless experience. Ate Shona has been waxing for 5 years and is a pro in her job. I felt very clean and fresh after the experience. So if you are going to avail of Nailogy`s Body Waxing ask for Ate Shona. I guarantee she would make the experience as worry free, painless and fast. A great Salon is a fantastic place to bond with friends, what better place to let yourself relax than a place that is warm, welcoming and a venue to pamper yourself. Nailogy is just the place. According to the Marilyn Adao, Operations Manager of Nailogy, we can actually look forward to an expansion of this year old branch in the future and perhaps a Nailogy in ever city? Now this is something we can all look forward to. Don`t take my word for it, Try their services out yourselves. 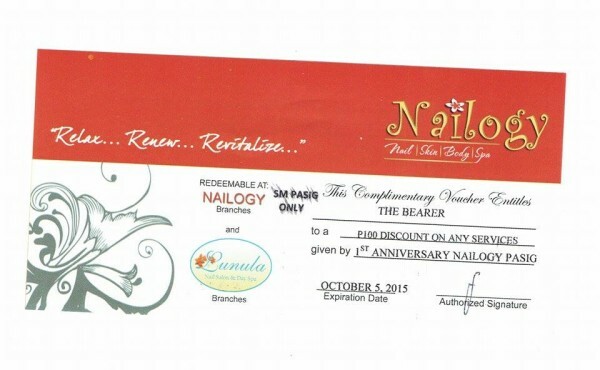 Here is Nailogy`s 100php discount voucher you can use. You just need to print the voucher below. This voucher is valid up to October 5, 2015. 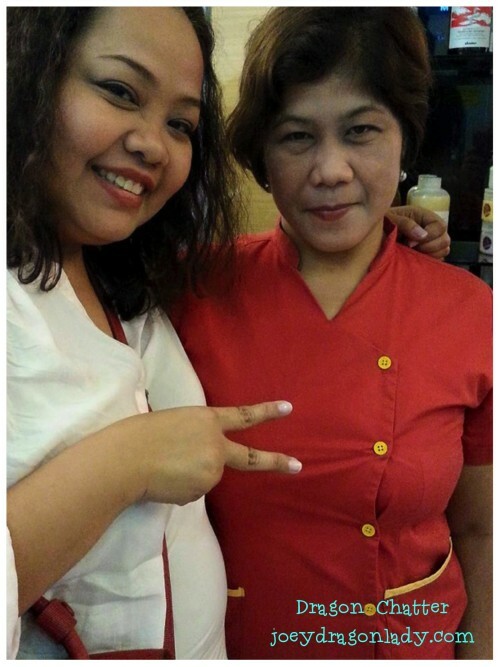 For your spa and salon appointment, call them at 02-5701887 or 09175486852.